Containers are seen as the go-to technology for enterprises wanting to revamp their infrastructure and application estates, as they push to reposition themselves as cloud-native organisations. While containers are often referred to as a lower-cost alternative to running virtual machines, most enterprises appear to be intent on using the technology to support the remodelling of their legacy applications into microservices. Interest in containers has also risen as enterprises have moved to build hybrid and multi-cloud environments to run workloads in, as the technology allows developers to package up an application (and all the dependencies that go with it), so they can run in any environment. This not only paves the way for organisations to move applications from the cloud to on-premise environments (and back again), but also frees enterprises up from having to use specific mobile devices to run their applications on. 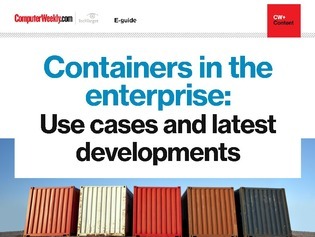 The latter topic is covered off in this e-guide through a case study, detailing how YMCA has embraced application container technology as part of a wider mobile working push, along with several other reports sharing the latest enterprise thinking on using containers in the enterprise today.